By practicing what we believe in; honesty, dedication, and quality work, we commit to keeping our costs low for our customers while still providing the best work possible for Central New York and beyond. Our principles drive us to expand our growth through trustworthiness and uniquely customized services for our clients. We succeed at this because of the integrity of our staff and subcontractors, our obligation to a solid work principle, and our desire to stay current with the newest innovations in the construction and remodeling industry, with great consideration for the community and environment. Milback Custom Homes LLC is a subsidiary, operating independently of our parent company, Milback Construction Company LLC. Milback Construction is a full-service general contractor incorporated in New York State in 1912 by Howard LeRoy Milback under section 203 of the Limited Liability Company Law. Our staff, in conjunction with our subcontractors, apply years of knowledge and experience in new-residential construction. Typical home construction projects are structured with one of Milback Custom Homes’ principal officers as the chief project manager. A working supervisor or foreman is on the job from start to finish and is responsible for the implementation of the design, including scheduling and customer fulfillment. An on-staff licensed NYS Architect is also available to process and resolve difficulties in the building/construction progression as they arise. We adapt to changes within the construction industry to maintain a high level of performance on each project. At Milback Custom Homes LLC, we have worked with the same subcontractors for years because our relationships are built on trust and routine. Our employees have been chosen based on their professional ability and level of expertise, as well as their personal qualities and morals. At Milback Custom Homes, we believe that having full time employees on staff provides us with more immediate control over the progression and nature of the construction process. The level of dedication and personal involvement from our team in the work we perform results in superior quality and service to our clients. This attitude is also directly reflected in our employees’, subcontractors and vendors level of responsibility, professionalism and competency and ultimately our catchphrase of “Build it Better™”. When you decide that you want to build a new home it can be very rewarding and fulfilling process. It also has the potential for being one of the most stressful and costly experiences without having the expertise and guidance needed from the beginning phases. You are hiring a professional construction company that will develop and coordinate the processes essential to new home construction. Milback Custom Homes has the experience of four generations to handle every step of the building process; from concept and design of your new home, selecting or locating the building lot, and the management of the construction progress, working with you until the completion. We employ the necessary components of the entire home building process, from the architect, the engineer and the site preparation personnel to the electricians, plumbers, carpenters and finish tradesmen. From the blueprints to your first footsteps into your new home, Milback Custom Homes will be with you every step of the way. Milback Custom Homes techniques and company allow us to construct a home in a minimal amount of time without sacrificing any of the quality you should expect and demand. The 2014 Survey of Construction (SOC) from the Census Bureau shows that the average completion time of a single-family house is around 7 months, which usually includes around 25 days from authorization to start and another 6 months to finish the construction₁. Our model home in Brewerton NY was constructed in less than 90 Days. Milback Custom Homes also uses new and innovative building materials that reduce construction times while improving energy efficiency. Such products as Huber Engineered Woods ZIP System® Sheathing and tape and AdvanTech™ Subfloor assembly contribute as vital players in this equation. As of October 2016, all new residential construction must comply with the newly mandated ACH 50 or the so called “Blower Door” testing requirement which assures that the code required maximum allowable air leakage is not exceeded. The maximum allowable rate of air leakage is 3.0 ACH. We received a rating of 2.1 ACH, proving that our techniques of insulating and air sealing in conjunction with the ZIP System® Sheathing and tape makes our standard construction, above standard. Come see for yourself the difference Milback Custom Homes can offer. Building better so families can live better; An innovative, engineered wood panel for exterior walls, ZIP System® sheathing and tape protects what matters most by giving you a strong, quality home that guards against moisture and air leaks. Because when we build homes, we do more than put up four walls. We create safe, comfortable spaces where families can make memories that last a lifetime. Luxury you can see is pretty. Luxury you can’t see is quality. Quality flooring starts with something you’ll never see: your home’s subfloors. A high-quality subfloor provides strength, stiffness and stability and can help prevent bouncing, squeaking and warping. AdvanTech® subflooring stops squeaks before they start with superior strength and stiffness that gives your finished floors a smooth, flat surface with a luxurious, solid feel all backed by a limited lifetime warranty. That’s why builders who know that the test of true quality is in the materials you don’t see choose AdvanTech subflooring. Ronald Michael Milback is a native of Baldwinsville, NY. 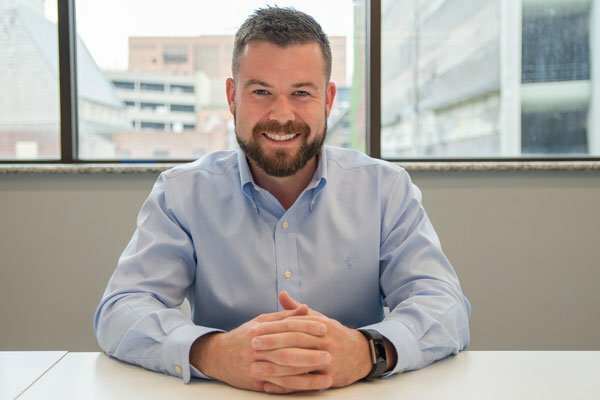 Passionate about promoting positive community and economic growth, his primary goal stems from a desire to improve the rapidly growing housing market in Central New York. In 2017, with encouragement from friends, vendors and partners in the industry, Ron made the decision to dedicate his career to the legacy of his father, Ronald Howard Milback, in the development and management of the Milback Custom Homes. Ron has several duties including the continual assessment and development of the MCH vision, setting and communicating the long-term direction of MCH, and ensuring that the short-term goals, objectives and tasks are aligned and adjusted in anticipation to outside forces, including but not limited to market shift and lot availability. Furthermore, Ron believes in leading by example. He understands that providing a positive personal example to employees is vital to the success of the company, and he is hands on in every step of the construction of your new home. He displays personal integrity in professional extracurricular activities. In his free time, Ronald serves as Chairman of the New Building Committee for the Child Advocacy Center of Oswego County and is a Member of the Board of Directors for Carol M Baldwin Breast Cancer Research Fund of CNY. Furthermore, Ron believes providing a positive personal example to employees through words and behavior to be vital to the success of the company. He attempts to display personal integrity in personal and professional extracurricular activities. In his free time, Ronald serves as Chairman of the New Building Committee for the Child Advocacy Center of Oswego County and is a Member of the Board of Directors for Carol M Baldwin Breast Cancer Research Fund of CNY. Ronald Howard Milback is a native of Manilus, New York and is the General Partner of Milback Custom Homes LLC, living in the Baldwinsville area. Ronald boasts over 45 years of experience and a lifetime of practical knowledge in residential development and applied field techniques from his father Donald LeRoy. 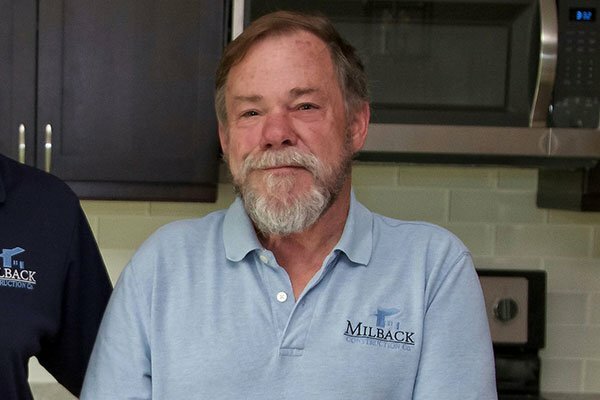 Ron applies his extensive knowledge of construction management, project proposal and building design to effectively lead and supervise the teams at Milback Custom Homes. Having attended SUNY Morrisville for Construction Management, Ron provides constant guidance to team leads, subcontractors and his son, while encouraging independence, growth and maturity within the company. In his free time, Ron enjoys spending time with his wife, Penny, and their many grandchildren. He also actively volunteers for many cancer research charities throughout Central New York. Patrick has more than 30 years of progressively responsible facilities and architectural experience in the areas of construction administration, project management, design and capital planning with a documented record of success. Accustomed to leading project management, new construction/renovation design & implementation, and day-to-day maintenance & operation in a collective bargaining unit. Significant exposure in leading a customer service oriented team. Experience as a Registered Architect, with NYS building codes, code enforcement and energy management systems. Significant experience in higher education, K-12 and residential- small commercial design and construction services. Patrick has worked with most project delivery methods. With any of those methods, the only positive economic conclusion is to have honest collaboration with all parties from the onset. This means cooperation with the owner, design professional team, contractors and vendors. Pat serves on the Town of Sennett Planning board. Kristin is a mom to 4 beautiful children! Her husband, Neal, is a teacher at the Syracuse City School District. She is a former English and Special Education teacher. She loved teaching, and still teaches (real estate!) She enjoys reading, writing, music, being outdoors, and just about anything involving her children and family! Her philosophy is simple: clients come first. She encourages the team with her belief that our attitudes determine our altitudes! She is in constant communication with our clients, keeping them fully informed throughout the entire building/buying and sometimes selling process. She believes that if you’re not left with an amazing experience, she hasn’t done her job. She takes full measure for each client and believes that success through the satisfaction of her clients is the only thing that matters. Kristin’s family has over 40 years of experience in the real estate industry! Understanding the progress that has been made in the industry allows for her to see opportunities with a perspective that is unique and successful! Tina prides herself on being a genuine, honest, compassionate and dependable person both in the workplace and her personal life. Her business is built on trust and she is extremely proud of that. She specializes in the home building/buying process from start to finish. She looks forward to getting to know you, what your needs are, and helping you achieve your goals. Together you will get through the stressful moments and celebrate the exciting end results- your dream home!! Sarah has spent significant time training on all facets of the industry; from lead generation and time management, to cutting edge technology and marketing techniques. Her knowledge and success has made her a leader and highly requested mentor to many agents nationwide. Sarah believes and often quotes; “Choices, not circumstance, are what determine greatness. It is achieved through a series of decisions that consistently trend toward the better option. Greatness lies not in what we are given, rather in what we do with what we are given. Don is a native to the CNY area, working and enjoying all that beautiful upstate NY has to offer. Don was in logistics & management for over 20 years prior to his real estate career, and uses those skills to help your home building journey run smoothly and successfully. Don served in the US Air Force and volunteers weekly at Clearpath for Veterans. Denise is a Licensed Real Estate Salesperson living and working in the Syracuse area. Her clients receive a responsive, knowledgeable real estate adviser. With 20+ years of experience in the banking industry, she provides advice on more than just buying and selling homes including preserving your home equity, home improvements, financing options, and more. She dedicates her time to giving her clients the highest level of professional service, as satisfied customers become clients for life. Sign up now to receive important news and information regarding custom home construction in your area.